I’m starting to get more excited by the day for this one. Not sure if the gameplay is going to be quite limited. Looks nice though and the advanced zombie AI is a nice change from the usual model. Zombies seem kinda slow for WWZ, but it probably wouldn’t make that great of game play if you have 500 zombies running at you at 45 MPH. I like the stacking though. Climbing too. If they’re smart and there’s lots of them then it’s still pretty exhilarating. The original book zombies were nothing like the movie so maybe a)they wanted more of the book and b) the super fast zombies would be tough to fight in a game like Digital said. Has a division look and feel from the character movement and shooting. Maybe it’s me but the game doesn’t look too good. If you’re going to adapt the film World War Z , which itself is an adaptation of Max Brooks’ novel, you’re going to have to nail the universe’s shifty, fast-moving hordes. The imagery of sprinting zombies literally forming undead pyramids as zombies scale the masses below them is burned into the brains of anyone familiar with the movie, and it’s clear the team behind the game knew this task was theirs to complete. This new trailer from the crowded halls of Gamescom highlights how Saber Interactive has replicated this trademark for the upcoming four-player co-op shooter. Alongside the trailer comes a few new screens, if the zombies are too fast and you prefer them at a standstill. 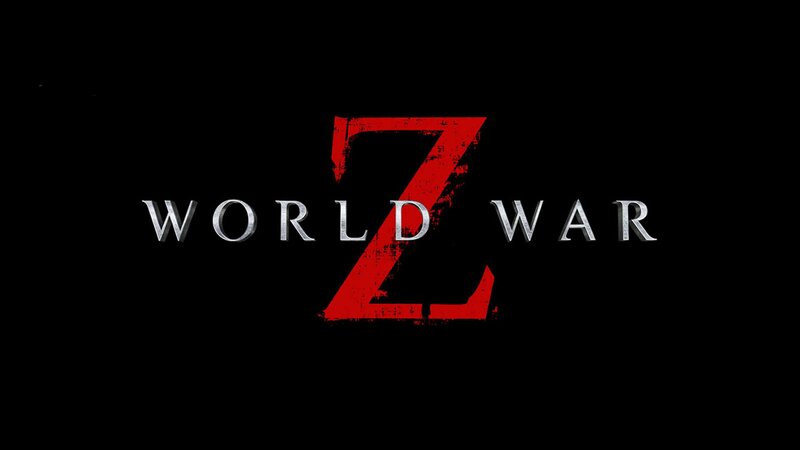 World War Z arrives in 2019. Saber Interactive has released a new trailer for the upcoming World War Z, which aims to showcase the frantic and exciting gameplay that the title’s player vs. player vs. zombie multiplayer will offer. World War Z is scheduled for release later this year. 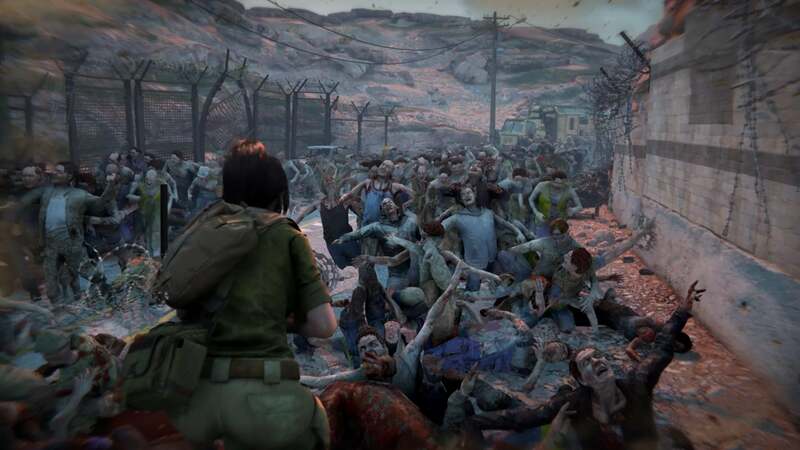 Just a couple of days ago, Saber Interactive released a trailer showing off the game’s player versus player versus zombies gameplay. Now the studio have swiftly followed up that footage with a release date for the multiplayer title and those looking forward to slaying some zombies won’t have to wait too long for the opportunity. For the announcement, they released a short trailer that seems to be focused on showing just how many zombies can be on screen at once. Try counting for yourselves below. 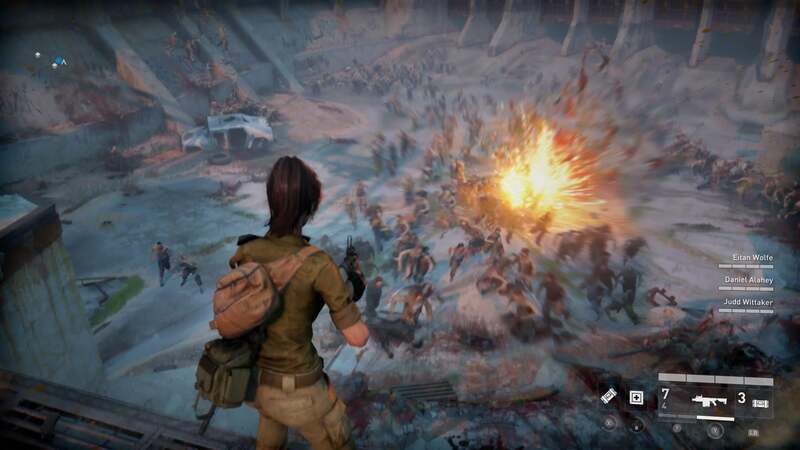 You’ll be able to play the game inspired by the film inspired by the book when World War Z releases on April 16th. Just over a couple of weeks ago, Focus Home Interactive and Saber Interactive revealed the release date of upcoming multiplayer shooter World War Z. They’ve now followed that up with a new trailer for the title. 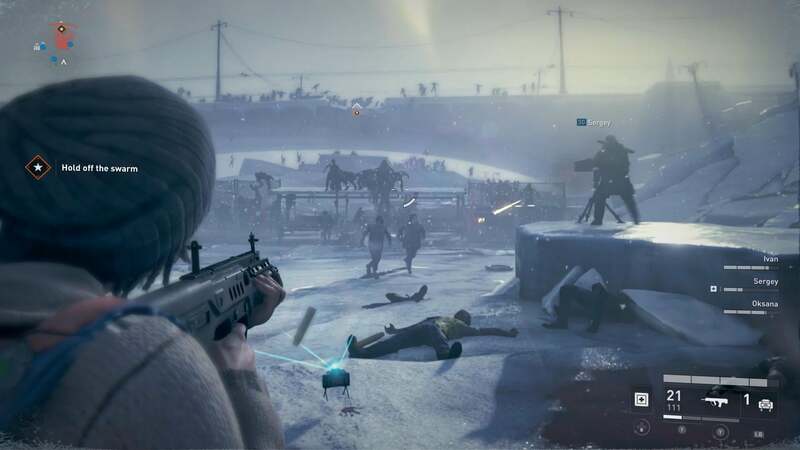 Titled “The Zombies Are Coming”, the trailer starts with a tense twenty-second standoff between the group and one zombie before one bad move brings the swarm down upon them. What follows after that is all manner of zombie slaying, all to the tune of “Boom” from P.O.D. Check it out in action below. 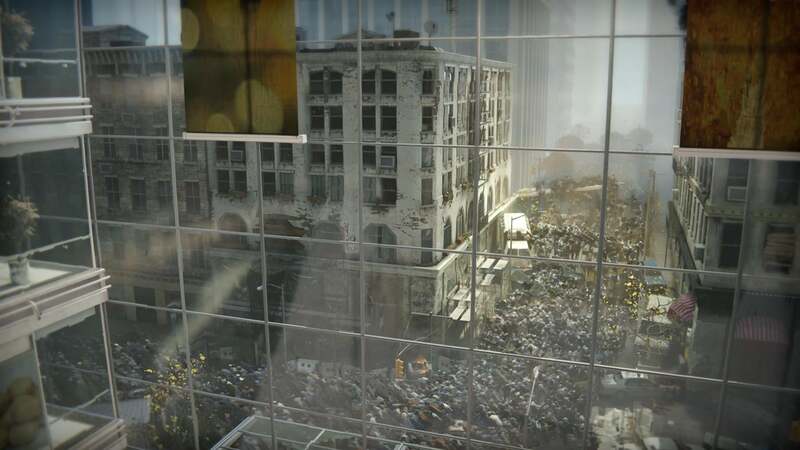 The zombies will come again when World War Z releases on April 16th. World War Z — the game based on the movie based on the book — is on the way next week. With that imminent release in mind, the folks at developer Saber Interactive have released another trailer for the multiplayer-focused shooter. Narrated by the game’s creative director, Oliver Hollis-Leick, the video covers what players can get up to and what they’ll have to deal with in the game’s co-operative campaign mode. 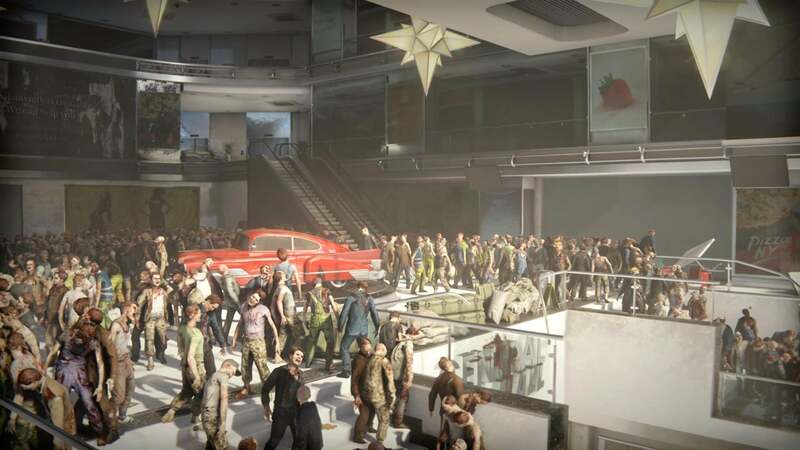 Players will be able to experience it for themselves when World War Z releases on April 16th.